Leicester Tigers have signed Yorkshire Carnegie duo Joe Ford and Jonah Holmes, top points-scorer and top try-scorer during the regular season in Championship rugby during 2016/17. Fly-half Ford, 26, will team up with his brother George at Tigers this summer, while Holmes returns to Premiership rugby after starting his professional career at Wasps. Ford has previous Premiership experience with Sale Sharks and Northampton Saints, and says his spell at Carnegie has proved invaluable in terms of experience. 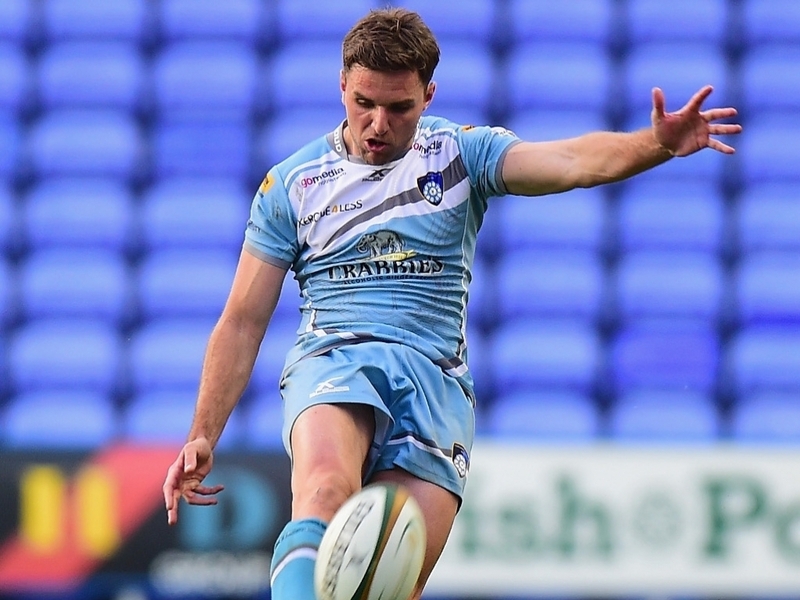 He ended the Championship regular programme as the competition's leading points scorer this season and totalled 223 points across the whole campaign as Carnegie reached the Championship Final against London Irish. "My three years at Sale Sharks were really good but I was at an age where I needed to play more rugby and I was ready to have that experience of playing week in, week out at Leeds," he told Leicester Tigers' official website. "Thankfully that decision has worked out and we've had a decent season too in getting to the Championship play-offs which was the target at the start of the year. "Now I'm really excited to move to Leicester, which is one of the biggest clubs in England and Europe. Obviously George is moving to the club too in the summer and we are of a very similar mind in how we like to train and play, so I can't wait to start work with him and the rest of the squad and the coaches at Leicester." 24-year-old Holmes began his professional career at Wasps and played Premiership rugby on loan for London Welsh before moving to Yorkshire. He has experience at scrum-half and full-back as well as on the wing where he has been a prolific try-scorer, scoring 15 tries in 22 Championship games this season and 51 in 87 appearances during his time at Carnegie. Holmes said: "This is an exciting move for me and it's going to be a big challenge, but I'm really looking forward to it. "I've had a great time with Yorkshire Carnegie and the only thing I would change in my time would have been to win the Championship Final with them this year. It's been great, I've played a lot of rugby and I've had excellent support from the coaches and all of the other players there. "To play Premiership rugby is all I have ever wanted and I now have a great opportunity with Leicester and I am determined to give it everything." Tigers head coach Matt O'Connor said: "Joe is an experienced fly-half whose game management is exceptional. He brings others into the game and in all his previous clubs has made the team tick at a high level. He is a very good player, a very good goal-kicker and we think he can go well here. "Jonah is a talented young player who knows where the tryline is, as his record shows. He has huge growth left in his game and we know he will get that development at Tigers."